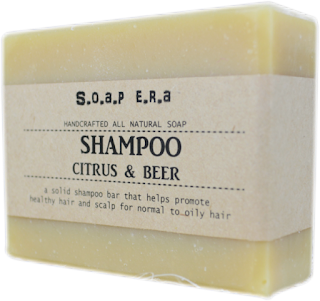 I love sharing something new that I’ve found with our shaving community and today I have the pleasure of introducing a shaving soap called Soap ERA. They hail out of Australia and run by founder Maxi Crow. Maxi believes that soap can be fun by using only natural ingredients. In our soaps you will find only the finest essential oils, clays, herbs, spices, and botanicals to impart scent, colour, and texture. They use all natural ingredients with finest oils and butters blended in a traditional old-fashioned cold process method in small quality controlled batches. Each is hand cut and allowed to cure for 4-6 weeks. I received 4 soaps from Maxi. Each one in it’s own category. Charcoal Detox a Sport soap next up would be the Bay Rum a facial & shaving soap also two other products which is what this review will be based on a Shampoo Bar of citrus and beer and Patchouli Classic shave soap. You have to love the packaging with Soap Era products. I get a sense of that old time classic look and feel with each product. Even the print on the labels seems to be from a different time. The care is in the details and when you look at how each soap is wrapped you know what I’m talking about. Take for instance the shaving soap, you can see the folds of the tissue paper perfectly surrounding the puck and for each soap a resealable pouch for it's protection. 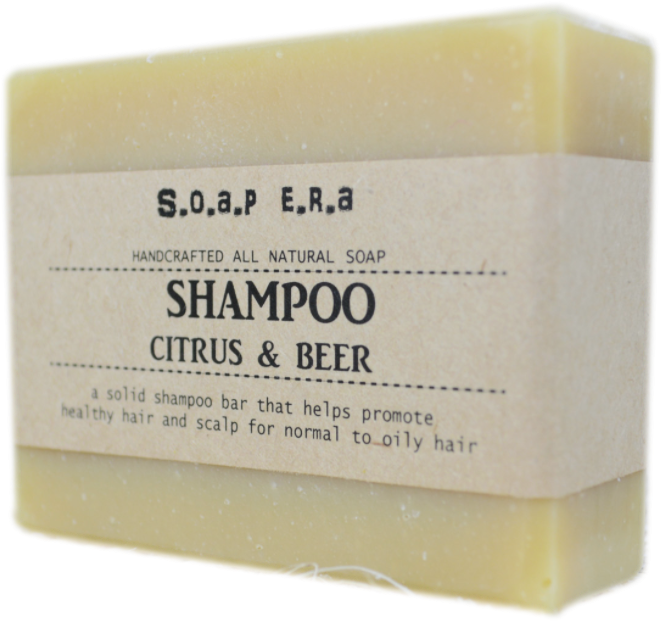 Let me start with the Shampoo Bar Citrus and Beer. I used it for the very first time this morning. Most of the time I’m using a body & hair wash commercially available brand but this has to be some of the best bar soap I’ve come across in a long time. If the bar was not meant to be used for the body it did a great job anyway and my hair was left feeling really clean and great smelling. I would make an effort to get this again. The scent for this Patchouli shaving soap includes notes of Patchouli, Ylang Ylang, Rose Geranium, Cinnamon. All make this wonderful scent combination and sometimes for me I can make out the rose to be the leader and other times it’s the Patchouli. If you visit the website, you can see the “Featured Ingredients” and why each one is used and how that translates to helping you. It’s just a little too long to include here but worth looking into. For this shave I used my Maison Lambert brush along with the 37 slant from Razorock. I bowl lathered and had no issues removing small amounts of soap from the puck and was able to place them into the bowl with ease. When I started to lather I noticed the increasing scent and also the need for more water which in turn increased the lathering time as well. 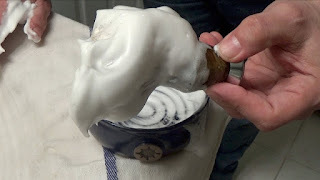 I managed to get it under control in less than 2 min and created a mound of creamy rich lather. The coverage was excellent and sunk right into my 5-day old beard. The wonderful slickness and glide allowed me to go over rough spots many times without additional lather. So as you might have already guessed I really like Soap Era. All the products have such great quality to them and perform flawlessly. The $25.00 price tag for one puck might make some shy away but let me assure you it’s well worth it.